Under the tab Appearance -> Footer Banner you will find the general settings of the plugin. The options are divided into three tabs to give you a clear overview. 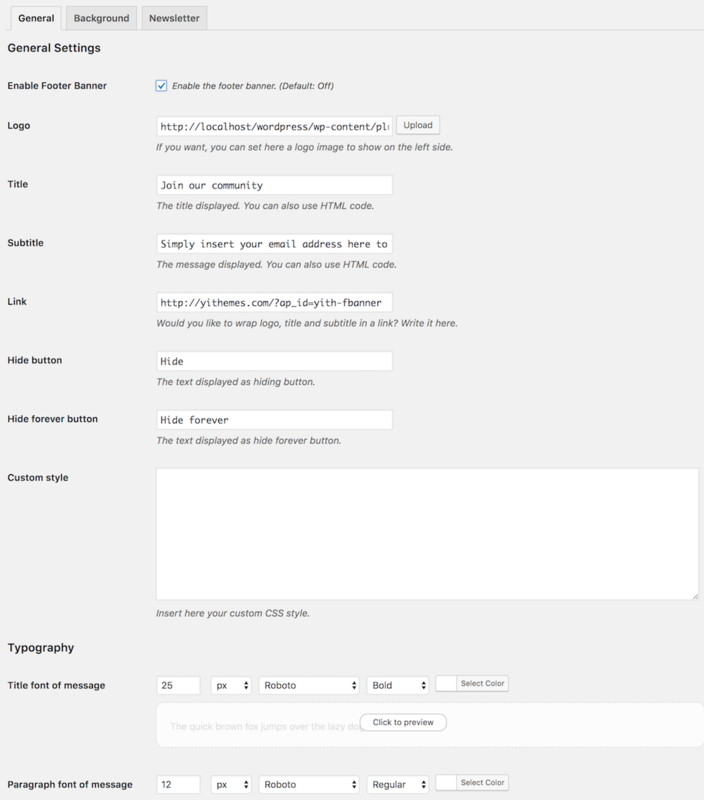 Under the tab General Settings, you will be able to configure the settings and choose the typography you want to use for the banner.